Kyle Roche and Aslam Bari put together a great library to help developers use Twilio with the Force.com platform. You can find it here on the Force.com Code Share. 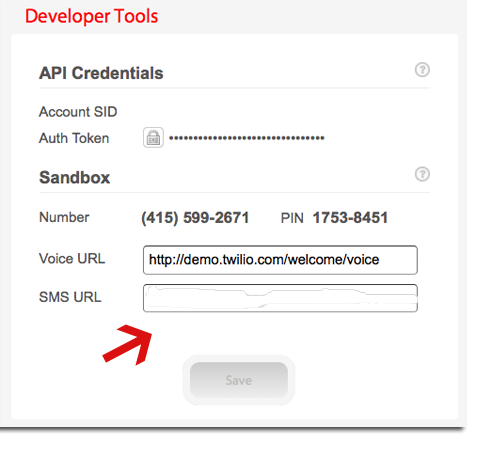 The best way to get started is to create a free Twilio trial account so you can get your API credentials and sandbox info. The API for sending texts is here, and with Kyle and Aslam’s library it is really simple to start sending texts from your Salesforce account. If you’re already using Twilio to send SMS, have you set up a way to process an incoming message? Perhaps you’re sending info to prospects and you want them to reply “Yes” if they’re interested. Then, you want to trigger some workflow from that incoming text. Well, Twilio will accept incoming texts and you can configure where you want the SMS info to be sent. Basically, Twilio receives incoming SMS messages and then sends an HTTP request to you with a number of parameters. Three of the most important parameters are From (the number of the message sender), To (your Twilio number), and Body (the contents of the message). Here is the documentation for how Twilio handles incoming texts. In order to process these incoming SMS messages you first need an Apex Controller and Visualforce page. The request will get sent to this page and the parameters will be stored. Using the stored parameters we’ll create a closed task and associate it with the appropriate Contact. The code for the Controller and VF page are below. // Move forward only if we find at least one match. // Insert the Incoming Text object and return the response page. The next step is to give your Site access to this page and controller. If you’ve not worked with Salesforce Sites it is pretty simple to set one up. 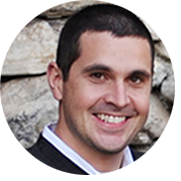 Utilizing Sites is how we can expose our Visualforce page to the outside world, thus letting the Twilio HTTP request hit our page. You should also make sure that your Public Access Settings on the Site give at least read access to the Contact object. The last step is to tell Twilio where to send the request. Log in to your Twilio account and click ‘My Account’. Under the heading Developer Tools you’ll see a field titled SMS URL. Paste the full URL path to your Visualforce page into that field. As always, any feedback or questions are welcome. If you’ve implemented a different solution to handle this issue I’d love to hear about it, too. I am not being able to get this to work. i have setup the VF page, the site and the SMS URL as per your suggestion. However, I cannot capture the incoming message from Twilio. Under Alert section in Twilio it is giving me an error: 12200 – Schema validation warning. On checking with the Twilio customer support they are saying that the response for the HTTP post that Twilio does on Salesforce needs to be in TwiML. Can you please suggest how to solve this issue?